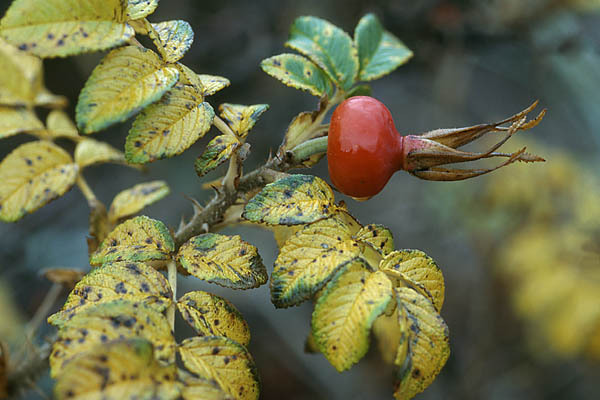 Wild roses attract attention during their long flowering period as well as with their fruits. Habitats are drier grasslands or thin forests – also dry –, alvars and in general calcareous soils. More than ten species grow in Estonia, native as well as cultivated but naturalised varieties that are accepted as native. Of the indigenous species the glaucose dog rose (Rosa vosagiaca, syn Rosa dumalis), the cinnamon rose (Rosa majalis), the dog-rose (Rosa canina) and the Rosa sub-canina can be mentioned. Among the naturalised species the best known is the rugosa rose or Japanese rose with its furrowed leaves, somewhat reminiscent of potato leaves. 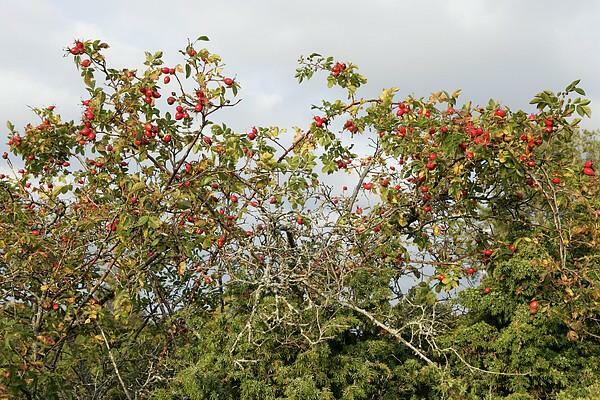 The fruits can be compared in Arne’s photos. Botanists call the rose fruits hips. The hip itself has a firm flesh with hairy nutlets or achenes hidden inside. Before eating rose hips raw these should be pried out. The large and well-fleshed fruits of the Japanese rose are nice to eat raw; migrating birds set store on them too. From dried rose hips a vitamin-rich tea is prepared that strengthens the body’s resistance and is quite delicious.